Deployed in numerous devices across a wide spectrum of industries, USBware Host software is the world’s most mature and extensive embedded USB host stack. 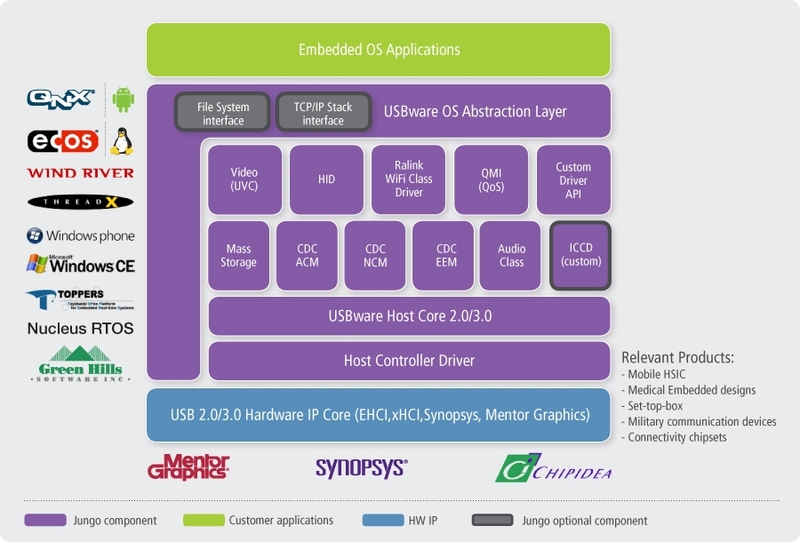 Jungo’s extensive experience and leadership in embedded connectivity technologies make this product the choice of the world’s top chipset vendors and consumer electronics device manufacturers. USBware Host enables the use of multiple USB classes on a wide variety of embedded hardware platforms and its modular design facilitates the seamless introduction of USB host functionality to any current and future product.